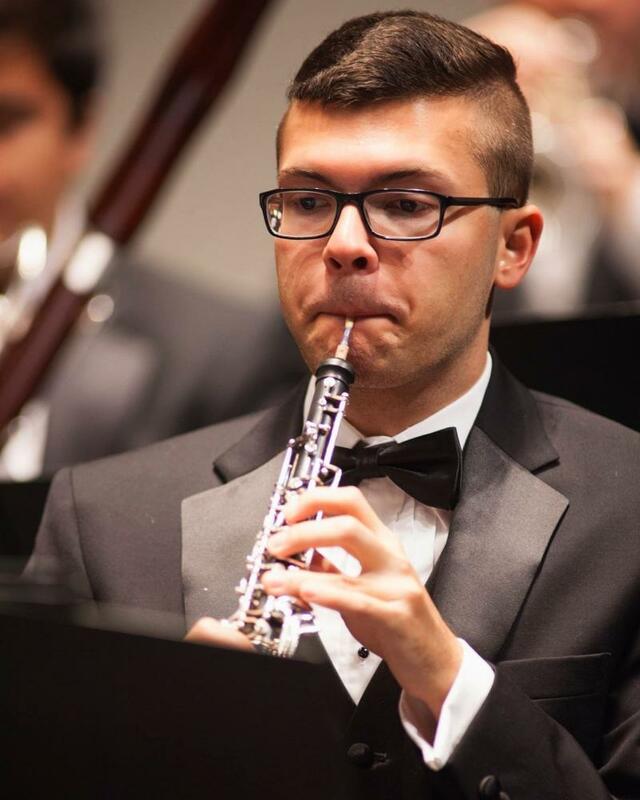 Congratulations to senior oboe performance major Noah Breneman who has been named a co-winner of the 2017-18 Symphonic Wind Ensemble Concerto Competition. He will perform Eric Ewazen's complete Oboe Concerto No. 2 ("Hold Fast Your Dreams") at an upcoming Symphonic Wind Ensemble concert. A student of Timothy Hurtz , Noah is a member of the Symphonic Wind Ensemble, Philharmonic Orchestra, and Chamber Orchestra. He also performs with the Williamsport Symphony, the Pennsylvania Chamber Orchestra, and the Nittany Valley Symphony. The son of Thomas and Angela Breneman from Reading, PA, he is the recipient of the Ouwehand Family Trustee Scholarship and the School of Music's Lynne D. Ferguson Memorial Award, A member of Pi Kappa Lambda, he has been a Dean's List student for six semesters. Noah achieved Jury Honors in fall 2015, fall 2016, and spring 2017; and Jury Recognition in spring 2016. He appeared as a soloist in the 2016 Mosaic concert and will be a featured performer in the 2017 Mosaic performance. Noah plans to pursue a graduate degree in oboe performance in fall 2018.